The fondant mix (not premade) contained milk. I've been on a Cake Boss boycott since I watched the episode where he made a huge cake for an elementary classroom that looked like a PB&J sandwich - complete with PB filling. There was a PA student in the class, so he made a separate non-PB cupcake for that student. From what I could see in the episode, the contamination in that kitchen was terrible. He was quite proud of himself for being so accommodating of the PA student. I don't know much about him or his show but I've had a hard time finding good food coloring without milk/egg warnings. I thought the allergen statement was interesting. I've never seen one like that. I wonder if he received flak (and therefore awareness?) from that episode? Or, it could just be whichever manufacturer licensed his brand has good labeling. But, have you called to see what exactly they mean by their statement? To me it seems like it could mean 'contains no major allergens as an intentional ingredient' rather than being an allergen-free assertion. 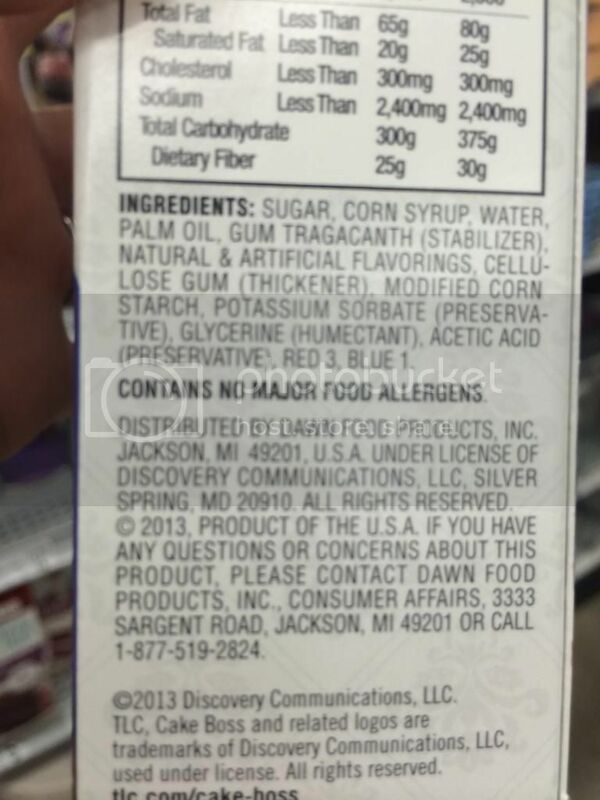 Like they have a blank on the label for the required Contains [top 8 allergen], so rather than just putting nothing they put that statement. I have used Satin Ice fondant for years and found it though a local cake decorating shop when we lived in IL. At the time it said on Satin Ice's website that Buddy used it. So I'm thinking that they are just now marketing it with his picture to sell more. 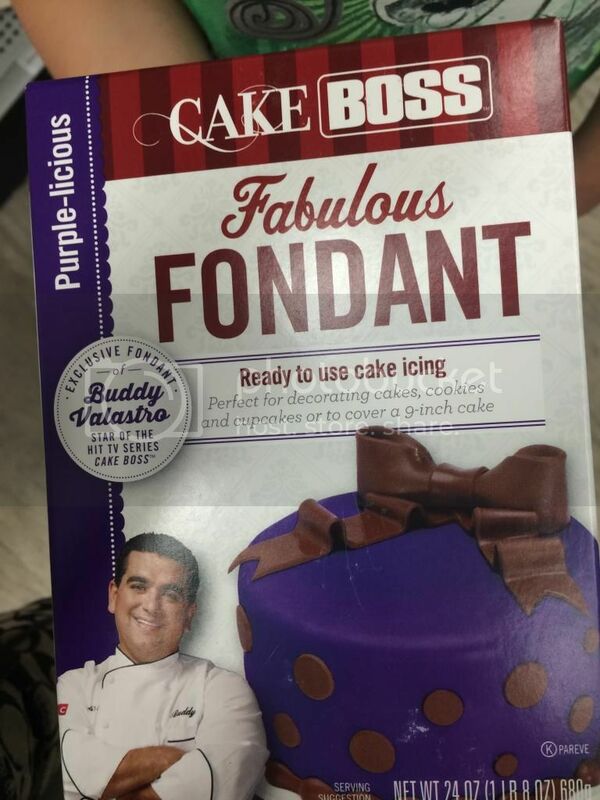 Fondant contains no animal derived ingredients. Gum paste contains egg whites.